Union Station in St. Louis is a National Historic Landmark, once the busiest and largest train station in the world. Converted in the early 1980s, Union Station now features the four diamond St. Louis Union Station Hotel and The Grand Hall at Union Station. The Train Park at Union Station currently includes a festival space – home to the Polar Express, food outlets, an outdoor plaza and fire and light show. The destination continues to flourish with the construction of the St. Louis Aquarium at Union Station, St. Louis Wheel, Carousel, Mini Golf, Ropes Course and Mirror Maze, all set to open in 2019. The redevelopment of Union Station in St. Louis is not the first mixed-use project for ICON Attractions. 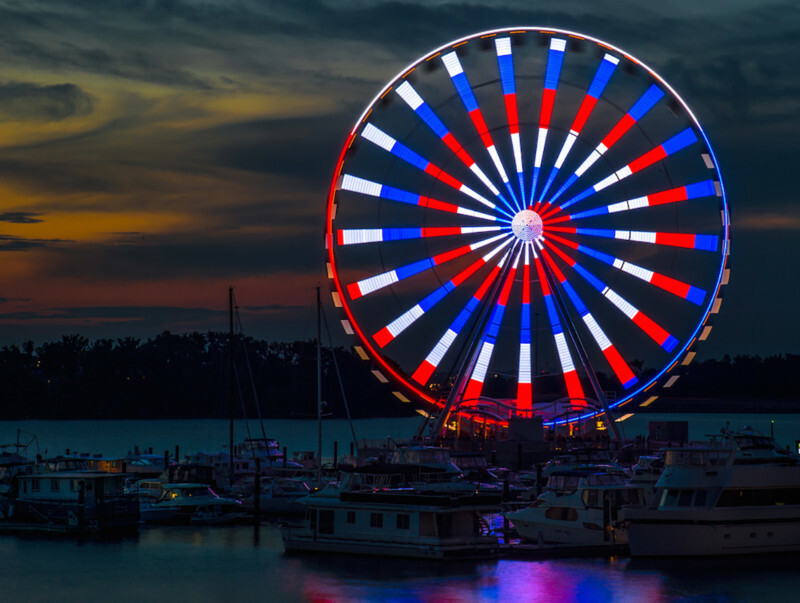 In 2019 The Capital Wheel (pictured above) and Harbor Carousel at National Harbor, under the management of ICON Attractions, will celebrate a 5-year anniversary at the riverfront development. Icon Attractions is actively seeking opportunities to develop, acquire, and mange observation wheels, water parks, and retail entertainment projects. The St. Louis Wheel is currently under construction and scheduled to open in 2019.